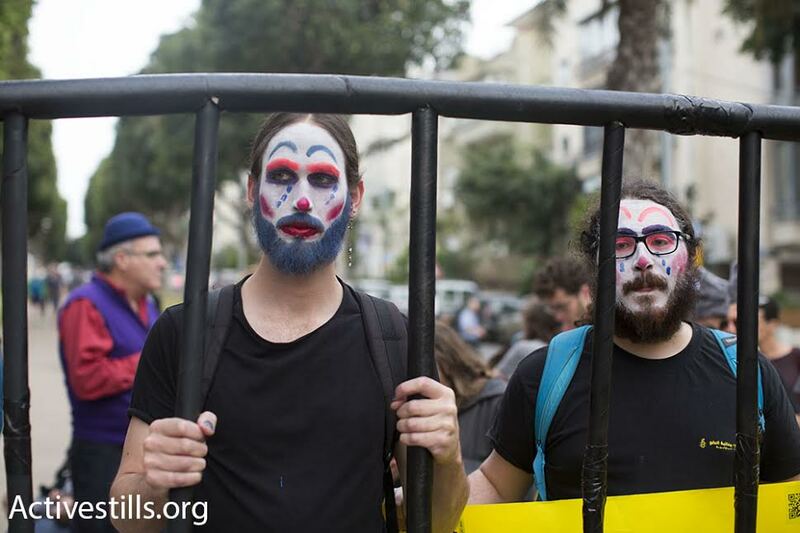 This year, Purim falls squarely during Israeli Apartheid Week (IAW). The traditional way to celebrate Purim is with a Purimshpiel — a dramatic retelling of the story of Purim. When Queen Vashti refuses to show herself to the King Achashverosh feasting guests, he banishes her and seeks out a new queen. The Jewish Esther, cousin and adopted daughter of Mordecai appears at the King’s palace as a suitor, and the King chooses her for his new queen. She keeps the fact that she is Jewish a secret from him. Haman is appointed the King’s representative. He meets Mordecai at the palace gates and when Mordecai refuses to bow to him, he declares revenge on all of Mordecai’s people, the Jews. He orders that gallows be built in order to kill the Jewish people. Mordecai warns Esther of Haman’s plot, and pleads with her to talk to the King about it. Esther invites the King to a feast at risk of her life, since no one is allowed to approach the King. At the feast, she reveals that she is Jewish and that Haman is plotting to exterminate all the Jews. The king is enraged, and orders Haman to the gallows that he built for Mordecai and the Jews. By refusing to hang Haman, this Jewish community imagines a different ending to the Purim story, one where capital punishment and revenge killing are not the solutions. They imagine an ending to the Purim story that looks a lot like the beginning of practicing transformative justice. During a week when we are seeking justice in Palestine, justice from Israeli occupation and colonization, the question of “What do we do with Haman?” becomes especially important — what do we do when we know that injustice has been done? What do we do that actually transforms systems and structures to reflect more just ways of being? How do we imagine a different ending to this story? By aligning our practices with those of IAW, we can begin to imagine a different, more just ending to this story too. We can begin to do this by participating in IAW events, marching in protests and rallies in solidarity with Palestinians, giving tzedakah (contributions) to Palestinian organizations like Addameer, which supports Palestinian political prisoners. This year Independent Jewish Voices members are holding two Purim events centered around justice-oriented Judaism. Tonight in Ottawa, people are celebrating Purim and raising money for the victims of the white supremacist and Islamophobic New Zealand massacre. This Saturday the 23rd in Montreal, people are celebrating Purim and raising money for Addameer. Let’s begin to transform our diasporic Jewish communities into more just formations this IAW and this Purim.